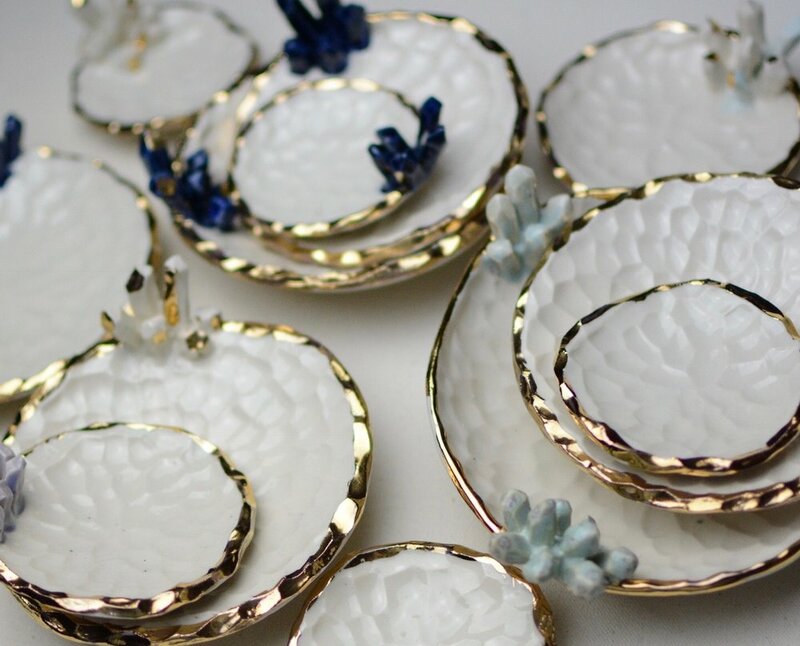 The most elegant and classy way to organize any of your things. 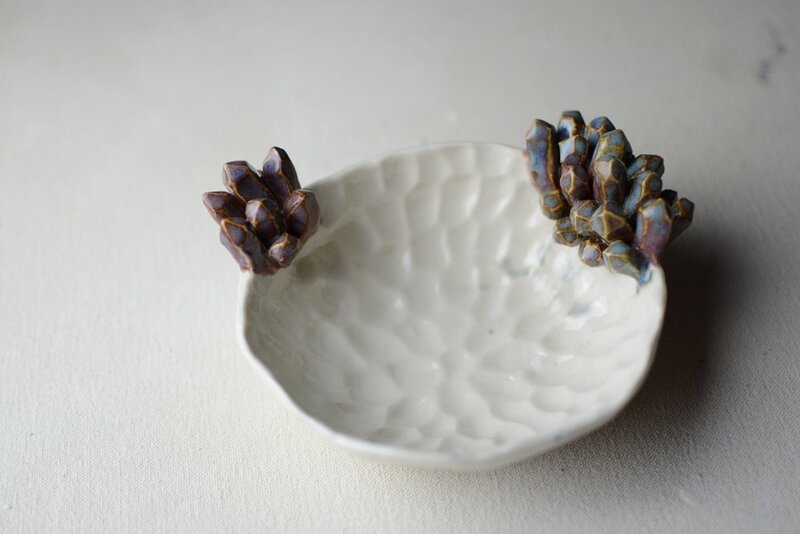 These bowls are a cone 6 Porcelain clay body. The method i use is simple, I roll a large amount of clay into slabs, cut out and form into different varieties of bowl shapes. Some I place into molds, others find their shape naturally. At a leather hard stage i carve out the middle and attach a foot at the bottom. From there i take the time to hand carve each crystal, attaching them one by one. 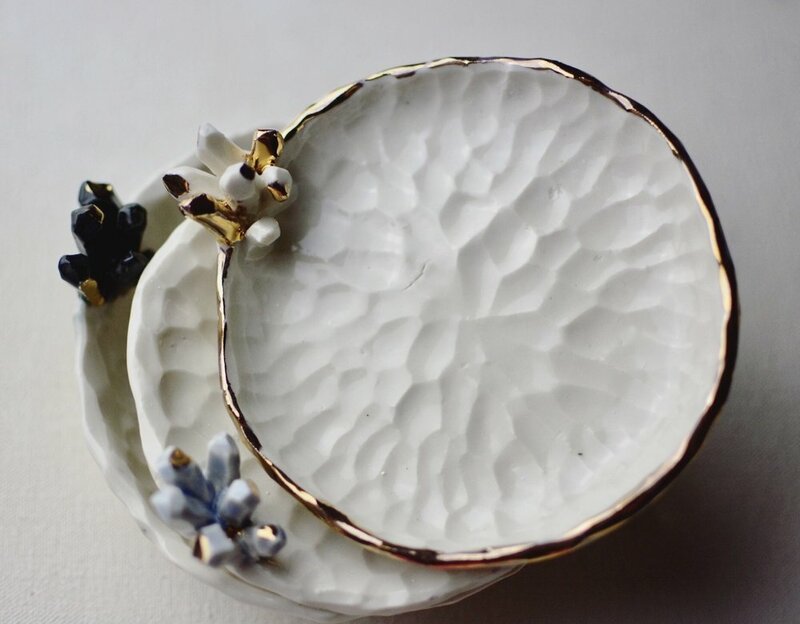 These bowls can be used for anything you can think of, from holding jewelry to incense or business cards. Some are specifically made for holding incense and others are large enough to hold bracelets and more. Feel free to contact me to help design a custom bowl just for you!